All courses are subject to change at the discretion of the Institut de Langue et de Culture Françaises. For the latest course selection, please contact your Admissions Officer. All students take a French language course. Students are placed into the appropriate level determined by a placement test taken online before arrival in Paris and an oral test taken upon arrival in Paris. The French language course aims to enable students to communicate effectively in both written and spoken French. Through classes in grammar, conversation and French life, students learn to express themselves in most everyday situations. Students are required to take one of the following French language courses. Some courses offer a choice of contact hours hence two recommended credit amounts are shown in parentheses in the course heading. The Beginner classes introduce students to the rudiments of the French language. They learn to introduce themselves, to give and respond to simple greetings, to express their nationality and age. Vocabulary work focuses on numbers, colors, clothes, the family, the calendar and items encountered in the home. Working in the present tense, students learn to buy, order and pay for things as well as to express their likes and dislikes. The elementary French classes aim to teach students to understand common phrases that they will encounter in daily life. They learn to answer basic questions and to ask for information on familiar subjects. Students discuss their habits, daily activities and personal experience and learn to give opinions. They are able to make comparisons and use both the simple future and simple past tenses. They work at expressing obligation, desire, future plans and past experience. At this level students learn to grasp the meaning of more detailed information through discussion of topics such as their studies, family ties, the work environment and social relationships. They are able to use the conditional as well as more complex future and past tenses, including the subjunctive. They can give orders, express doubts and feelings, relate what someone else has told them and discuss hypothetical situations. They learn to suggest, advise, reason and contest. Advanced students learn to interact naturally and with spontaneity when conversing with native speakers, being able to express the subtleties of their feelings and thoughts. They work at associating facts and ideas, moving with fluency between tenses and learning to alter their register to suit a given situation. In debates and discussions students aim to make convincing and structured arguments backed up by concrete examples. They discuss politics, economy and history, comparing different written and spoken styles. Students can supplement their required French course with additional courses. The elementary Oral French classes aim to teach students to understand simple phrases that they will encounter in daily life. They learn to answer basic questions and to ask for information on familiar subjects, learning simple polite phrases useful in everyday life. At the higher levels, students will discuss their habits, daily activities and personal experiences, offering opinions. Classes use a mix of role play, listening exercises and pronunciation work with particular focus on intonation. Students are required to give regular short presentations in French. The elementary classes focus on themes such as the family, work and leisure environments. At this level students learn to grasp the meaning of detailed information communicated via news reports, interviews or dispatches. They are able to follow conversations and understand short presentations. Students aim to be able to communicate with ease about familiar subjects even those not frequently encountered and to relate events to others using the correct temporal context. They learn to express feelings and opinions and to justify thoughts in discussion. They are able to say how they feel about abstract or cultural subjects such as films, books and music. Study is based on video and audio recordings, press articles and group discussion. Students will research social themes such as travel, cinema and family life. Students at this level work at following conferences, speeches and reports of complex content and structure. They will understand recordings relating to professional, social and university life. They will be able to interact naturally and with spontaneity when conversing with native speakers, being able to express the subtleties of their feelings and thoughts. In debates and discussions students aim to make convincing and structured arguments. Students prepare 15-minute presentations (without notes), participate in classroom debates and make short oral summaries of radio bulletins and/or newspaper articles. This course introduces students to simple written French. Students examine short, authentic texts (postcards, e-mails, articles) and learn to write similar texts of their own. Through study of the present and simple past tenses, as well as adjectives, adverbs and prepositions, students aim to master the key elements of the written language. At this level students read and analyze a variety of texts from the press and/or literature and work on particular linguistic features. Classes focus on syntax, vocabulary enrichment and more complex structures such as the subjunctive. Students learn to give detailed descriptions, to recount events that occurred in the past and to express opinions, composing texts that respond to material they have studied. Complex sentences are analyzed, written exercises “in the manner of” are re-written. The phonetics classes aim to help students with pronunciation and intonation. At this level classes work on the acquisition of sounds, relating the heard sound to its written equivalent and correcting individual mispronunciations. Students learn the phonetic alphabet. At this level, phonetics classes develop the student’s awareness of his/her pronunciation and increase the fluency of speech. Students work on transcribing phonetically-written texts. Students read aloud to perfect their intonation and fluency. Review of all exercises in a more detailed and complex way. With a focus on modernity and through visits to significant sites in the city, students learn to classify architectural function and style. Through discussion of the social and economic conditions in which various buildings were constructed, students acquire an understanding of the historic conditions that defined the changing Parisian landscape of the 17th to 20th centuries. The course focuses on the history of French cinema, from its scientific beginning at the end of the 19th century, moving through the industrial revolution to the 21st century. Historical films in the widest sense are studied, from opinion position to historical reenactment and documentary. Links between fashion and artistic, cultural, social and political contexts across French history are explored and the lasting dominance of Paris in the world of fashion is examined. Students become familiar with the historical evolution of the luxury fashion industry and learn to appreciate how fashion and accessories have been used to express a variety of different identities over time. Students pay some entrance fees for museums and exhibitions. Enrollment is limited. This course looks at the historical, political and economic aspects of European integration since 1945 and acquaints students with the decision-making processes that enable the EU to function. Classes examine the key issues that Europe currently faces on the world stage, studying concerns such as national identity, immigration, ecology and demographics. This course explores the emergence and preservation of French culinary traditions, considering their history from the Middle Ages to the present day and highlighting the importance of gastronomy in French culture. Protocol and etiquette are discussed, as students examine how influences such the Royal Court or changes in fashion affect what people eat, how food is prepared and how it is presented. Classes include visits to a cooking school, a bakery and the Museum of Fine Arts. This course examines the history of fashion and the socioeconomic developments that have driven the industry over the centuries. Peripheral industries such as that of perfume and accessories are also examined as the course moves towards the present day and the emergence of high street brands. For an additional fee students may take a fine art course at the Académie de Port Royal and a music, ballet or theatre course at the Schola Cantorum. Please speak to your AIFS Admissions Officer for further information. These institutions vary in accreditation status. Students should confirm the status of credit transfer with their home institutions prior to the beginning of the program. The Académie de Port Royal is a private art school not of university status in France. Students wishing to transfer credit for Port Royal courses should check with their home institutions. The Schola Cantorum is a private music school in Paris. Students wishing to transfer credit for Schola Cantorum courses should check with their home institutions. The amount of credit granted depends on the work produced and hours spent at the Académie. Two sessions of 3 hours or three sessions of 2 hours per week. Taught in French. 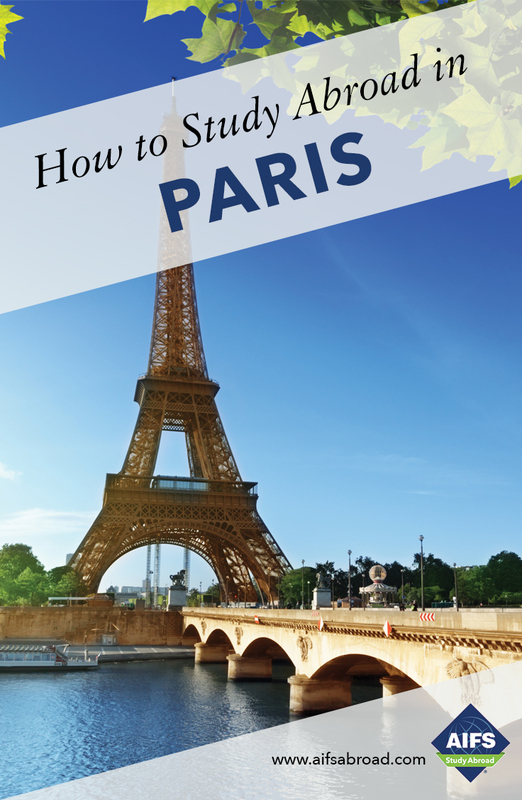 Students must pay a supplement in Paris of approximately 700 euros per semester and must buy course supplies (approx. 120 euros). Placement is by examination, except for beginners. Instruction in French is at the student’s expense. Credit granted depends on the work produced and hours spent at the Schola. Instruments (except piano) are not provided. Students must pay a supplement depending on number of hours of instruction taken. Sessions are 30, 45 or 60 minutes. An additional deposit is required in order to register for classes at the Schola Cantorum.